Creative Stitches is the authorized dealer, service and repair for Husqvarna Viking machines. Our certified service Technician, Dave, is very knowledgeable and professionally trained. 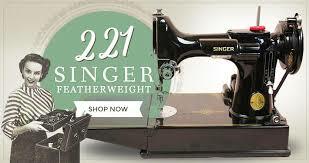 We have added Vintage Singer Featherweight Machines to our service Department. This will be limited to basic cleaning.